If you’ve not experienced the ease of using T-handled sockets and screwdrivers before, it’s probably way past time that you invested in a set. This kit from Laser Tools has a T-handle that accommodates any one of a number of double-ended bits, with the ergonomics of the handle not only allowing extra torque to be supplied to hard-to-shift fasteners, but also allowing you to quickly spin a fastener into place! 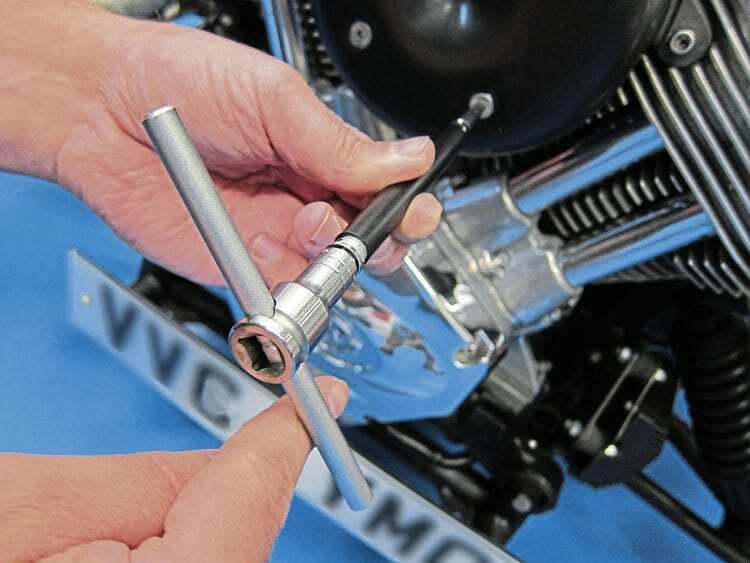 They’re a joy to use when fitting multiple bolts to a single part, such as a camcover or primary cover, for example. The bits are flat, Philips and Posidrive screwdriver tips, in various sizes, while there are also Star tips, and a number of hex and ball hex tips too, all in metric sizes. an extra bonus for those inaccessible fasteners, the bit ends are magnetised as well. Priced at £58.42, plus the vatman’s cut, the set is available from all Laser Tools stockists, plus www.lasertools.co.uk (and remember, Laser stockists often have special offers!). Read more News and Features in the December 2018 issue of OBM – on sale now!